The space pictured above incorporates a lot of gold accented pieces in combination with black cushions and a rug to create a very luxurious space that commands the eye as soon as you walk in. Hollywood glamour typically incites feelings of wealth, glamour, and sophistication and can date back to the golden age of Hollywood in the 1920’s and 1930’s. 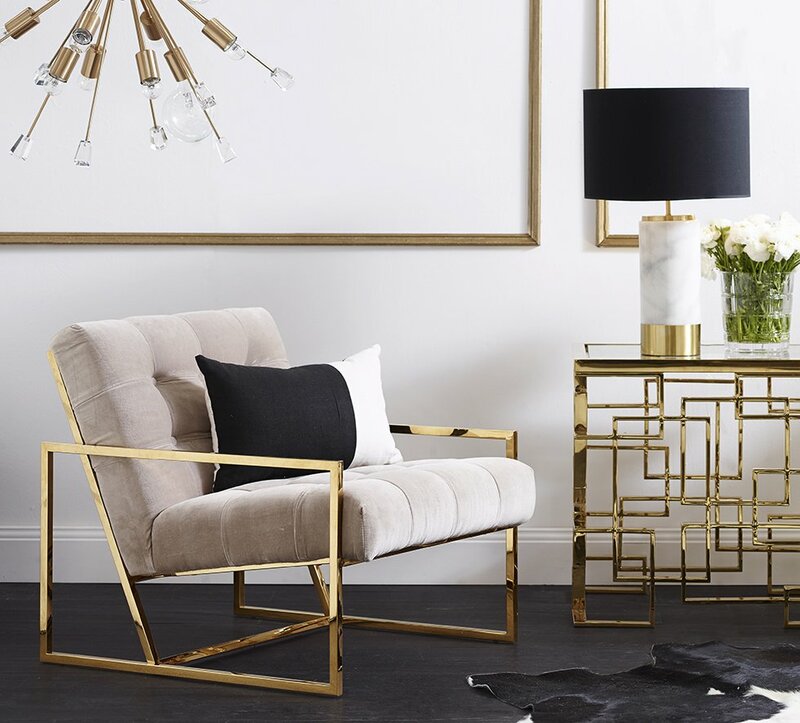 Created with drama that includes statement designs, gold accents, glitz, and glamour it is a style that can take you back to the old-world Hollywood style aesthetic that was fit for the stars.